Parents of young children often inquire: “What is the ideal age to enroll my kids in dance classes?” Surprisingly, age is not as important a factor as maturity, since all children develop at different rates. Parents should always take into consideration a child’s behavior, personality, and attention span. In addition, there are some important milestones that your child should reach before beginning class. These include walking, being potty-trained, taking direction, and listening to someone other than a parent. Typically, these milestones are achieved by age three maybe even by two and a half, and that’s a great time to start dance classes. It also happens to be about the same time children start preschool, or engage in other social activities, so a comfort level has already developed for being in a group setting. Usually 3-year-olds have overcome separation anxiety from their parents and have started to gain independence, allowing them to fully enjoy their dance classes. See which class is best for your child here. 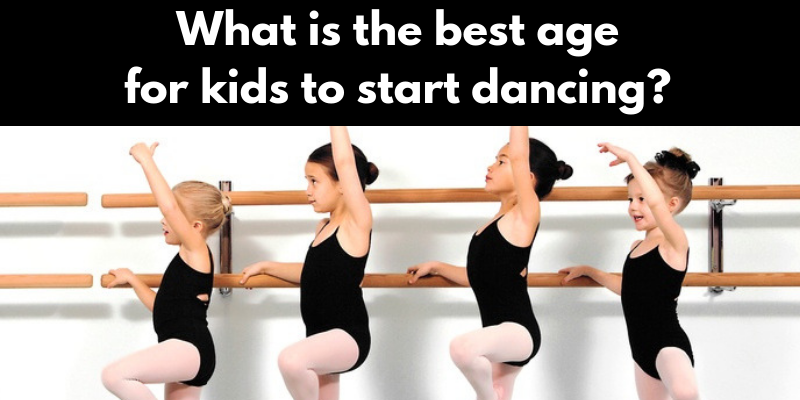 If a child is younger than the age of three or has not yet reached these important milestones, dancing can still become a fun and vital part of their home life until they are ready for the dance studio. Play music regularly in your home and encourage your child to move freely, without direction or discipline. Dance with them and help them feel the beat and rhythm of the music. Dancing at a young age can help promote a child’s self-confidence, creativity, self-expression, and social skills. Research shows that an activity like dancing creates a strong mind-body connection, and promotes coordination, balance, and brain development. Dancing will keep your toddler more active and more flexible than the average child. It is easy to build strength at a young age and dancing helps achieve this goal. Strength leads to greater body awareness, dexterity, physical control, and confidence that will yield positive results throughout their childhood. Young dancers learn discipline and gain perseverance that will carry them through their adult life. Young dancers build an innate sense of rhythm and musicality skills. Starting your kids in dance classes will help them become performers, which builds leadership skills and brings out their personalities. As a bonus, they will develop friendships with other boys and girls who share a common interest. Has your son or daughter reached age 10 or older? It is NEVER too late to start them dancing! Contact us today to discuss which classes would be ideal for your child. We even offer ballroom dance lessons for 10 year olds to adults!